You may already know that exercise can improve your health and help prevent conditions like heart disease and diabetes. But did you know it may also make you look and feel younger? Staying fit may help you walk taller, control your weight, stimulate circulation and feel more energetic – all of which could mean a younger-looking you. Turn off the television and take a walk. Or consider using an exercise machine or doing yoga while watching your favorite show. Make exercise fun by involving friends and family. Consider an early-morning walking club or an evening stroll with your spouse. When running errands or shopping, choose a parking space far from the store. At work, take the stairs instead of the elevator. Use your lunch hour to take a walk rather than stopping by a fast-food restaurant. Buy and wear an inexpensive pedometer and shoot for 10,000 steps a day. You may be surprised at how motivating it is to watch the steps add up. Exercise helps girls and young women build the bone mass that will carry them throughout their lives. Middle-aged women benefit by helping preserve their health and stave off certain diseases and conditions. And exercise helps postmenopausal women maintain their strength, balance and flexibility. Before starting an exercise program, talk with your health care provider. He or she can help you plan an appropriate program that includes aerobic activity and strength training. * Source: The National Women's Health Information Center, www.4women.gov. Jennifer Lewis was initially diagnosed with ovarian cancer at 14 years of age. “She battled the disease with the same grace and courage that she approached everything in life,” says her mother, Casandra Rendleman-Hall, who previously worked as the Practice Manager for Pediatric Surgery at GBMC. Jennifer was cared for at GBMC, where she received chemotherapy treatments. 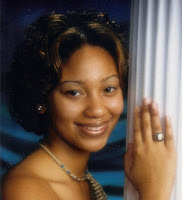 “Jennifer was a vivacious young lady, who was full of life and did not let adversity stand in her way,” says her mother. After completing the grueling year-long chemotherapy regimen, Jennifer, then 15, and her mother were treated by the Make-A-Wish Foundation to a vacation in Japan. The highlight of the trip was when Jennifer, who had studied Japanese, and her mother made their way through Disneyland with Jennifer doing the interpreting. In the fall of 2006, Jennifer was just beginning to make her mark on the world. A brilliant student, she graduated with a double major from the University of Maryland, where she received a full scholarship. She had gotten a new job with Kraft Foods and was studying for the entrance exam to law school. But her life was turned upside down again when she learned the cancer had reoccurred. Sadly, Jennifer succumbed to ovarian cancer in 2008 when she was just 23 years old. To honor her life, the Jennifer F. Lewis Foundation was established by her mother and sorority sisters to promote ovarian cancer research and to raise awareness. The Foundation awards scholarships to University of Maryland College Park students who exemplify the dynamic spirit and drive that Jennifer exuded throughout her life. Recently, the Jennifer Lewis Foundation presented the Sandra & Malcolm Berman Cancer Institute at GBMC with a check for $2,500 to support other patients who have ovarian cancer. GBMC is dedicated to putting the patient first and providing the best, safest care possible. A new simulation lab being built on campus is another step to ensuring that caregivers are able to do just that. Through the lab, scheduled to be completed in early 2012, nurses and other patient care staff at GBMC will be able to sharpen their skills and teamwork.The full-scale lab will have components such as an open skills area, simulation rooms and debriefing and control rooms. “This will be an excellent tool in helping clinical staff get hands-on experience in a safe environment before applying training in real patient settings,” says Lynn Marie Bullock, DNP, RN, NE-BC, Administrative Director, Nursing Education. It will house high fidelity patient simulator mannequins, which range from adult to child and infant. “The mannequins are able to talk and blink. You can hear them breathe and even administer medications that will flow through their bodies,” says Lynn Marie. The lab will be beneficial not only in helping caregivers hone in on technical skills but also by providing team training. 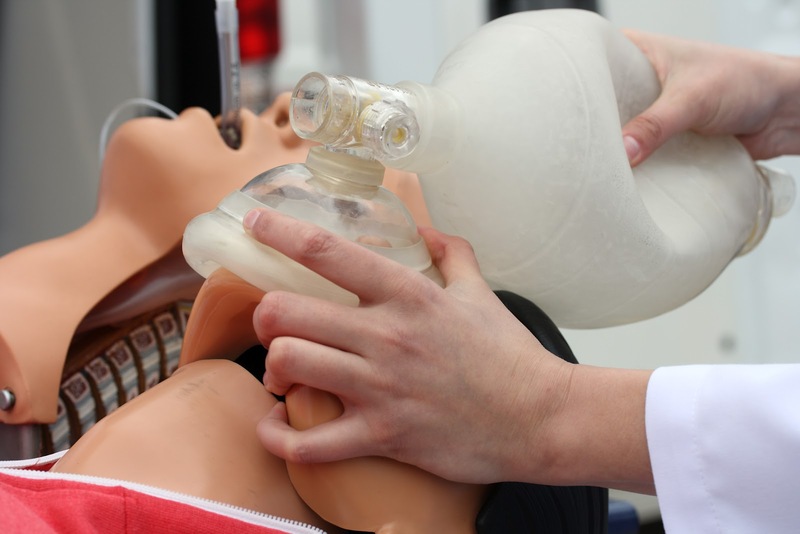 “This gives each individual the opportunity to practice his or her role in various situations and emergencies, alleviating confusion during a real event,” she says. The lab’s control room will allow caregivers to create scenarios so that they learn how to handle an array of situations that could happen during their day-to-day interactions with patients. This way, providers can master techniques and learn from mistakes before they have a chance to occur during true patient care. “Having a full-scale lab available at our facility will help us continue to offer academic care in a community hospital setting and is another step toward providing our patients with the best, safest care possible,” says Lynn Marie. To learn more about GBMC’s Comprehensive Obesity Management Program, visit www.gbmc.org/weightloss or call 443-849-8446 to sign up for an Information Session. * Please note: The patient’s last name was withheld to protect the individual’s privacy. This hearty vegetarian meal is good for your heart! It combines low-fat dairy and low-sodium sauce with whole grains and plenty of vegetables. Puree cottage cheese, ricotta, egg whites and Parmesan cheese. Blend in chives, parsley and pepper by hand. 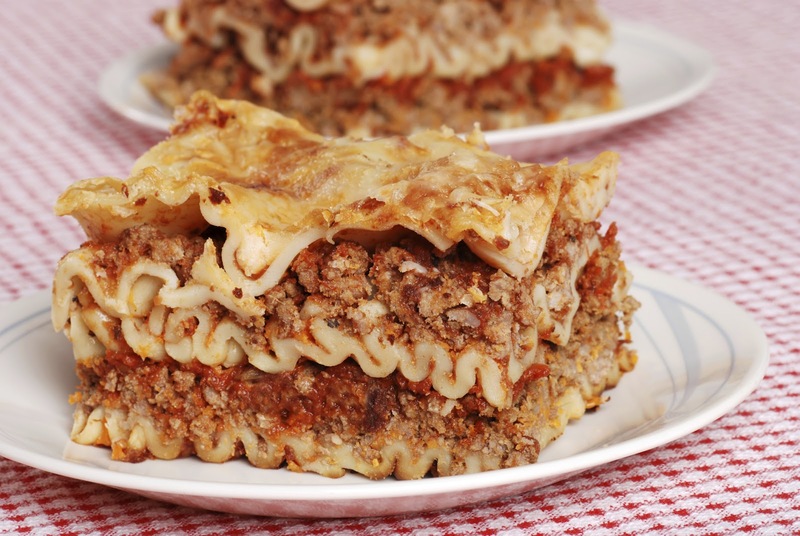 In a large pot of lightly salted boiling water, cook lasagna noodles until just tender but not mushy, about 10 minutes. Remove noodles with a slotted spoon, dip into cold water and lay out flat on clean kitchen towels (not paper towel, or they will stick). In a covered skillet, simmer onions in wine for about 5 minutes until very soft. Stir frequently, but keep pot covered in between stirrings. Add mushrooms and zucchini and cook until soft and half their original volume, about 5 minutes. Drain the vegetables. Preheat oven to 375°F. Combine the cheese mixture and all but 1/4 cup of the mushroom mixture. Spread 2 cups of red sauce in the bottom of a 9-by-13 inch baking pan. Alternate layers of noodles and cheese mixture ending with a final layer of noodles. Cover with remaining sauce. Distribute reserved mushrooms over top. Bake, covered, for 1 hour. Uncover and bake for 5 minutes longer. Remove from oven and let sit for 10 minutes before cutting. Recipe courtesy of the Centers for Disease Control and Prevention, www.fruitsandveggiesmatter.gov.